A host of international stars including actor Chris Tucker, pop diva Kylie Minogue and Hollywood legend Robert de Niro have joined celebrations marking the opening of a new resort in Dubai. A spectacular light show was put on at the unveiling of the new $1.5bn marine-themed facility built off the Gulf coast on an artificial island in the shape of a palm tree. 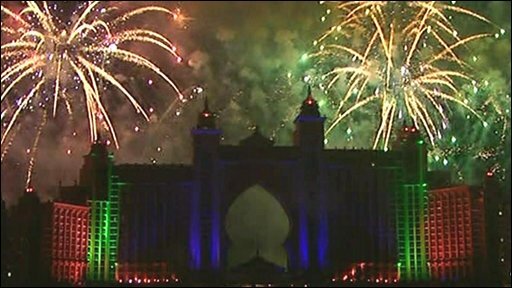 Organisers claimed that the fireworks display for the $20m party could be seen from space.